Consumers besides getting their hands on a true AI intelligent phone, can enjoy additional offers from ICICI and Low Cost EMI. The Honor View 10 will come with 6RAM with 128GB ROM with expandable storage upto 256GB and will be available in midnight black and navy blue. Users can register for the open sale by going to www.amazon.in/honorview10. The device will be bundled with a 9v-2Ampere Quick charger, standard USB-C cable and a protective case and pre-attached screen-guard for additional peace of mind. The Honor View 10 will come with standard 12 month service warranty along with Honor’s best-in-class after sale facilities. “We are thrilled to launch the true AI phone to the Indian consumers: Honor View 10, with unique no cost EMI and discount offer in association with ICICI Bank. Consumers can enroll for these offers exclusively on Amazon.in starting Sunday midnight. We urge consumers to make maximum use of these offers ” said P Sanjeev, Vice-President Sales, Huawei India-Consumer Business Group. The Honor View 10 comes with powered by a powerful Kirin 970 chipsets which include a Neural-Network Processing Unit (NPU) is at the heart of View 10’s extreme performance. 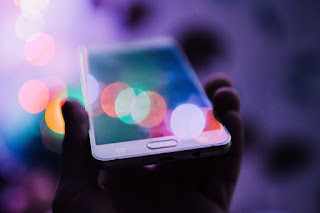 It powers a series of new AI applications which recognize different scenes when taking photos, translates different languages in real-time even without an Internet connection and understand user’s behaviors and optimizes the phone’s performance. The new Kirin 970 features an octa-core ARM Cortex CPU and a first-to-market Mali-G72 12-core GPU. Together with 6GB + 128GB memory and EMUI 8.0, it unleashes amazing processing power in multi-tasking environment and gaming. Honor View 10 has a special Gaming Suite which significantly increases performance of mobile games. The 3,750 mAh battery and Honor Fast Charging capabilities make the Honor View 10 ideal for gamers and heavy users. The Honor View 10 is equipped with a high-definition 16MP + 20MP dual-lens camera with F/1.8 wide aperture and 2-in-1 PDAF automatic focusing, enabling users to take professional photos in the blink of an eye. The new processor makes AI functions and services immediately available to you, greatly enhancing user experience and improving productivity. The Kirin 970 chip interacts with the cloud and enables a new kind of advancement. By processing big data in the cloud, cloud-based AI systems continuously update mobile devices with new intelligence. The Honor View 10’s AI monitors and understands your usage pattern and predicts how it will affect performance. The smartphone then automatically manages resources such as CPU, memory, I/O, storage, file systems and battery to optimize performance. Honor View 10 knows how apps are used, when they’re used and what the system needs to run them efficiently. This optimization reduces abnormal app launch rates by 80%. · Intelligent lock screen notifications: When a new message comes in and you pick up the phone, Honor View 10 recognizes your face and lets you read the message without unlocking the phone and opening an app. · Intelligent screen on: Honor View 10 knows that you are reading the screen because it sees your eyes. When it sees you are no longer reading, it will turn off the screen. · Intelligent display orientation: Honor View 10 detects the positioning between the phone and you and adjusts the direction accordingly. Compared to a quad-core Cortex-A73 CPU cluster, the Kirin 970’s new heterogeneous computing architecture delivers up to 25 times faster performance and a 50 times increase in efficiency when performing AI tasks. In an image recognition test, the Kirin 970 chip processed over 2,000 images per minute – much faster than other chips in the market. The Kirin 970 supports LTE Cat.18 DL and Cat.13 UL connections and achieves a peak download speed of 1.2Gbps, supporting the highest possible download speed on any carrier networks worldwide. The Special Gaming Suite and Kirin 970 chip offers a new level of gaming experience. You can select games to be added to the suite and switch on the high performance mode. Games can be improved with CPU intelligent scheduling, SDK game integration scheme and network acceleration. Honor View 10 also allows gamers to disable some virtual buttons from functioning and block notifications so that you can play without disruptions. Honor View 10 features useful shortcut tools like screen record, screen shot and share so that gamers can record their important moments without halting the game. Honor has also partnered with leading game developers to optimize games for Honor View 10, ensuring that games take full advantage of the hardware platform. Honor View 10’s comes with a 16MP + 20MP dual-lens camera with F/1.8 wide aperture and 2-in-1 PDAF automatic focusing. The AI scene recognition feature makes professional photography just a click away. The 16 megapixel RGB color lens and 20 megapixel monochrome lens of Honor View 10 camera bring exceptional contrast and detail to photos. The RGB color lens makes colors more vivid while the monochrome lens understands and records the contrast. Honor View 10 features AI-powered Real-Time Scene and Object Recognition technology that can identify different types of scenes and objects. The Honor View 10 intelligently identifies 13 pre-defined scenes including blue sky, nightscape, sunset/sunrise, beach, portrait, performance, flowers, plant, snow, cat, dog and text. The camera automatically adjusts settings to produce the perfect shot. The camera instantly sets the best parameters by adjusting colors, contrast, brightness, and exposure, to make your photos better than ever. Further, the new Digital Zoom system powered by AI allows up to 10x zoom and enables phase detection, depth and contrast focusing. This feature shortens focusing time significantly and enhances snapshot quality. The Kirin 970 chip supports accurate detection of faces and background, especially when you are taking selfies with the 13 megapixel front camera of Honor View 10. The rims between people and background in a photo are clearer, resulting in better bokeh effects. Honor works with Microsoft to optimize Microsoft Translator for Honor View 10. AI Accelerated Translator software delivers instantaneous translation without you needing to be online. New Kirin 970’s powerful NPU makes translation more than 500 percent faster than other smartphones running the same app. When an image is compressed for social media, the details are lost forever. With Honor View 10’s AI-based Vision Engine, you can now use Image Resolution Enhancement feature to zoom in a low-quality picture on social networks and make it clear again by increasing the resolution. It works on popular apps like Facebook, Instagram, WhatsApp etc. Despite the sleek and slim design, the Honor View 10 is equipped with a 3750 mAh battery and gives users power saving options: Power Saving Mode and Ultra Power Saving Mode. You can also optimize your apps’ power usage to achieve even longer battery life. Regular users can be on their Honor View 10 for a more than 2 days while heavy users will get more than one day. With the help of AI+EMUI 8.0, users can enjoy 19 hours of video playback, listen to music for 160 hours, surf the web with 4G connection for 21 hours or just keep the phone on standby for 22 days. 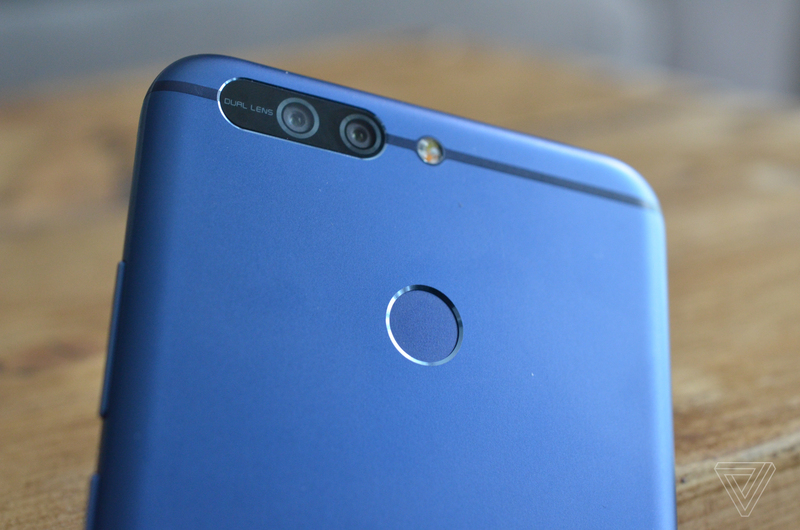 Honor considers user experience a top priority in phone design. By leveraging the capabilities of EMUI 8.0, Honor View 10 offers a series of personalized services to satisfy people’s multi-tasking needs, ease operations, better connect with people and even protect your eyes. · By splitting one screen into two, you can double your productivity and fun by working and using two apps at the same time. You can chat with friends and surf the net while watching a movie. The split column function for email and notepad provides you with a laptop-like interface. It puts email and notepad titles and content in two separate columns for easy reading. · Honor View 10’s FullView Display offers a Floating Navigation Dock which enables simple one-handed operation. To increase screen-to-body ratio, the navigation bar is replaced by a soft key which works as conveniently as a physical button. For example, you can keep pressing or double click the virtual home button to activate the one-step shortcut function and operate a dropdown navigation menu. · Thanks to Kirin 970’s NPU and AI capabilities, the Honor View 10 is able to detect if you are looking at a bright screen at night and suggest you use the eye comfort mode. The phone will remember your selection and automatically adjust the brightness for you in the future.